There is something compellingly magical about proficient and elegant mastery of grammar—not just in English but in any language. Good grammar is charming. It makes otherwise banal arguments more persuasive than they really are. It also confers enormous cultural and intellectual capital on people endowed with the gift of its possession. But what do I mean by “grammar”? And what connection does grammar—whatever it may mean—have with magic? Well, as I’ve pointed out in several of my writings, including my recent book on Nigerian English, Nigerians generally understand “grammar” to mean a combination of sesquipedalian phraseology and intentional verbal ornamentation. Nigerians would describe the preceding sentence as “full of grammar” because it uses ponderous, long-winded words where simple, everyday words would have done the job. But that’ not the standard definition of grammar. In contemporary usage, grammar, according to Professor David Crystal in his The Story of English in 100 Words from where most of the data for this column is distilled, is simply “the study of the way we compose our sentences, of how we say what we mean and of the different effects we convey by varying the order of our words. In short, grammar shows us how we make sense. And the more we know about grammar, the more we understand how language works” (p. 73). But grammar didn’t always mean that. It initially meant the systematic study of any written material. Then the meaning evolved to encapsulate “the knowledge that a person acquires through literacy,” according to Crystal. This knowledge was the exclusive preserve of a select few—scholars, the clerical elite, astrologers, and magicians. In time, grammar came to mean the study of the supernatural, of the paranormal, of occult arts. In other words, grammar and magic became synonymous. 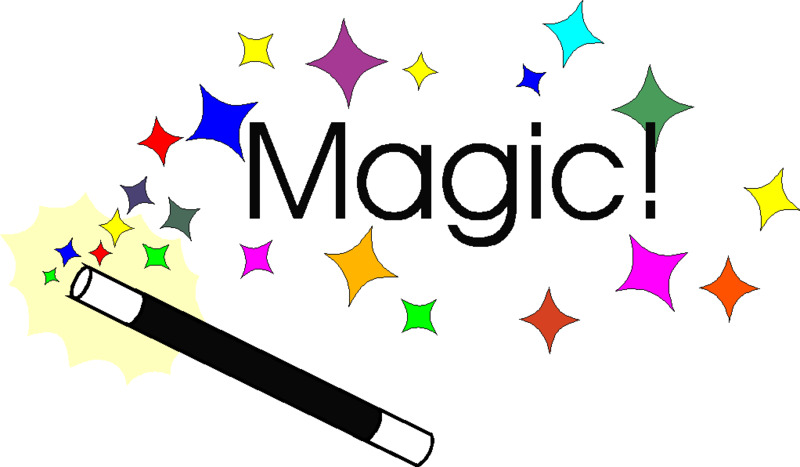 To be a grammarian was to be a magician. This was in Medieval Europe when Latin was the language of learning. When grammar entered English in the 14th century, it was initially written as “gramarye,” and meant “occult learning” or “necromancy.” In eighteenth-century Scotland, “grammar” was mispronounced as “glamour” (“glamor” in American English), and a new word was born which, intriguingly, has helped retain “grammar’s” association with magic spells, albeit in a metaphorical sense. When we talk of glamour we think of charm and allure, both of which are figurative extensions of magic. Today, although grammar no longer means magical spells, its artful use has the capacity to charm and excite the mind and soul. And here is where the Nigerian English understanding of grammar as deliberate ornateness in speaking and writing intersects with the earlier meaning of grammar as magic. You only need to read Wole Soyinka’s verbose prose or listen to Patrick Obahiagbon’s bombastic, if sometimes solecistic, speech to understand this. These mavens of bombast manage to confer some veneer of grandeur and depth to otherwise trite and tired thoughts. Imagine for a moment that Obahiagbon says some of the things he says in everyday, conversational English. Most of us wouldn’t have known he existed. He would have been consigned to the obscurity that is the lot of most of his peers. The notion that extravagant ornateness of language elevates style, and even thought, isn’t new. Nor is it unique to Nigerian English speakers. Historically, writers in English have cherished the idea that the best way to show linguistic sophistication is to pepper one’s prose with exhibitionist Latin-derived vocabularies. The fondness for Latin-descended sesquipedalia (that is, “big” words) in English flowered in the seventeenth century, although it actually started in the sixteenth century. English writers of these eras thought Latin “improved” English. They not only copied the structural features of Latin (such as the idea that sentences should not end with prepositions or that sentences should not start with a conjunction), they interlarded their prose with inflated Latinisms. English playwright Ben Jonson captured the sentiment of his age best when he said, “Words borrowed of Antiquity do lend a kind of Majesty to style.” Antiquity means the period in history before the Middle Ages in Europe, but Jonson used it to refer to Latin words, which were (and still are) thought to represent high learning. One of the earliest pieces of writing to intersperse Latinisms in English was the work of a literary critic who condemned a poem for having “insufficiently vitality to preserve it from putrefaction.” It was a stylistically grander way to say the poem did not have good enough wit to make it stand the test of time. This pretentious phraseology reminds me not just of the famous idiosyncratic bombast of Onitsha Market literature but of my own high school youthful verbal exuberance. When I was in Form 2 (that would be JSS 2 in today’s terminology), my rehearsed and memorized chat-up line when I wanted to make advances to a girl was “my medulla oblongata was telefaxed by the aroma of your romanticism”! That was my grandiloquent way of saying “I like you.” Of course, that’s a farrago of high-sounding nonsense, but it did enchant and allure many girls who had the misfortune to come under its magical spell. So, you see, grammar, especially the Nigerian English understanding of grammar, is still magical! Seriously, though, right from its nascence in English prose, highfalutin Latinate verbiage has attracted withering criticism from linguistic nativists and stylisticians of all shades. Linguistic nativists resented the Latinization of their native tongue. They saw it as a contamination of the purity of their tongue, as a form of quiet linguistic imperialism. In 1557, another English scholar by the name of Sir John Cheke advocated the rejection of all foreign influence, especially Latin, in English. “I am of the opinion that our tongue should be written clean and pure, unmixed and unmangled with borrowing of other tongues,” he wrote. But it is precisely these Latinate vocabularies that give English its magical appeal. We would never have science, philosophy, astrophysics, and other high-minded intellectual endeavors in the English language without Latin-descended vocabularies. Interestingly, even in their essays against the intrusion of Latin into English, Cheke and Orwell made copious use of Latin vocabularies, which Nigerian English speakers understand as “grammar.” In a way, then, it is the Nigerian English definition of “grammar” that has restored the word’s association with magic.